First thing I wanted to share in this hair care routine, is how to keep your hair healthy from the inside out. We all tend to focus on the products we put in our hair, and the styling tools we use but at the end of the day healthy hair starts on the inside. To keep my hair strong and to keep it growing I take biotin. 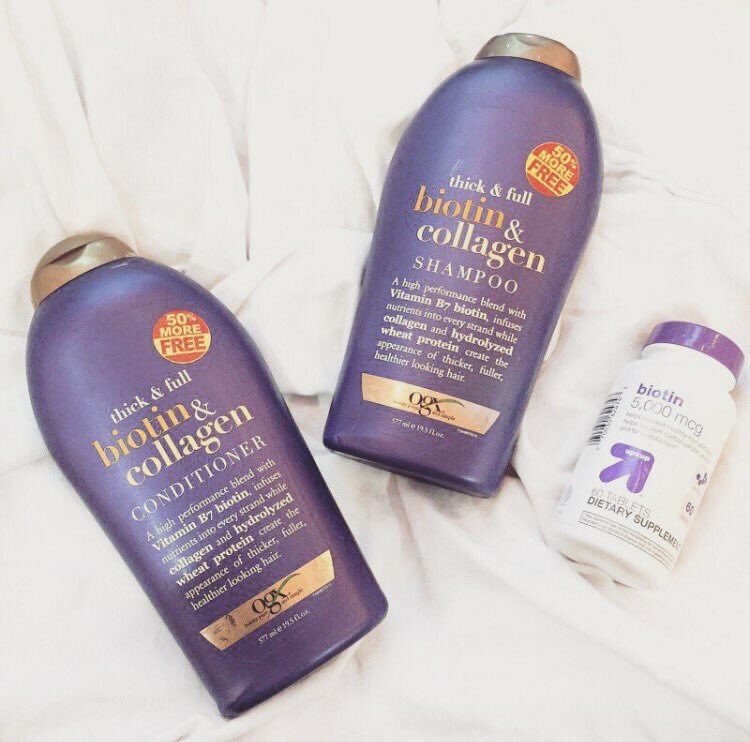 Now biotin is basically a complex that helps boost hair growth and also promotes the growth of your nails and the appearance of your skin. I take normal 5000mcg biotin that you guys can get at target, gnc, or any place that sells vitamins and supplements. I have tried lots of "hair growth" vitamins before from companies that specifically target hair growth ( rather then hair, skin & nails) and i just dont seem to like them as much. So I recommend the plain and simple hair skin and nail vitamins that they sell every wear. They seem to have the quickest results in my opinion. So now its time to talk about what products I use other then shampoo and conditioner. I currently have been loving a line Christophe Robin. They have a high end line of hair care products that are amazing! I picked out the three I use on an everyday basis to share with you. So the first product is called Huile a la lavande, which is a moisturizing hair oil with lavender. What I do with this is i will apply it before i wash out my hair. I use it as a pre - shampooing treatment to make my hair super shiny and smooth. Then when im in the shower I will use the Creme lavant traitant, which is a cleansing mask for the scalp. I personally have a very dry damaged scalp and have been absolutely loving this to help lightly exfoliate the scalp and to keep the ph balanced in my hair. 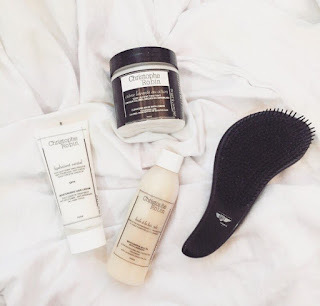 While this mask is on my hair I then lightly brush my hair out to remove tangles, for this I use my little tangle removing brush from flatironexperts.com. Then when I'm out of the shower I apply the Hydratant santal, which is a moisturizing hair creme. My hair tends to be weighed down by lots of cremes, but this one is super light and hydrating! I then finish off with an shine oil and for this I either use a Paul Mitchell "skinny serum" or just a simple almond oil. Finally I spray a little bit of a heat protectent into my hair and than blow it out using a round brush, and violia, thats it!